Recipient Derek Walkush and Award Namesake John zzard, Jr., at Undine's Castle Ringstetten 9/21/2018 for the Captain's Dinner. 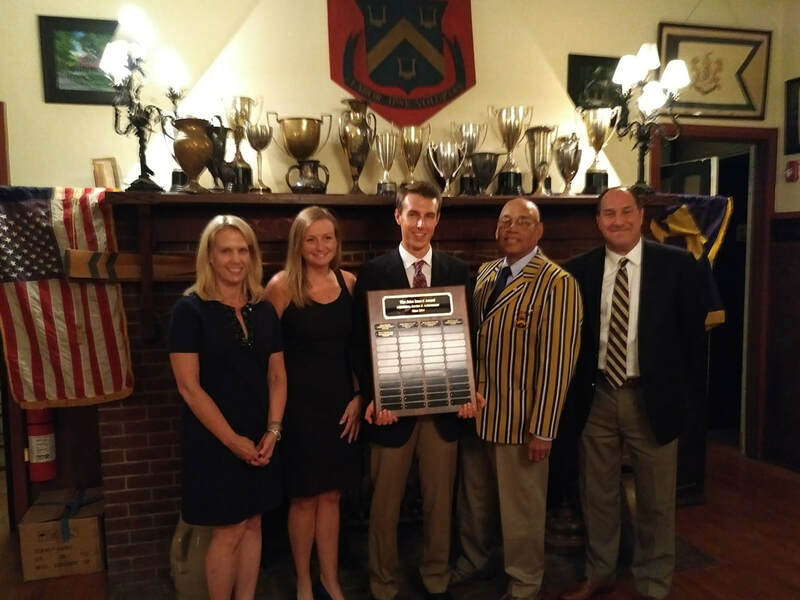 Coach Lauren Lehane, Recipient Derek Walkush, and Award Namesake John Izzard, Jr., at the Undine Barge Club's Captain's Dinner 9/21/2018. Germantown Academy Coach Lauren Lehane, Award Recipient Derek Walkush, Award Namesake John Izzard, Jr., and Undine Captain George Schaffer. John Izzard Athleticism, Service, and Achievement Award. The announcement was made during the Undine Barge Club Captain's Dinner at Castle Ringstetten. Below are more photographs from that evening. Derek will receive his personal trophy at the Schuylkill Navy Annual Awards Banquet in 2019 and a 2019 summer rowing program invitation. Three Committee Members, Coach Lehane, Recipient Derek Walkush, Award Namesake John Izzard Jr., Captain George Schaffer, and two Committee Members. 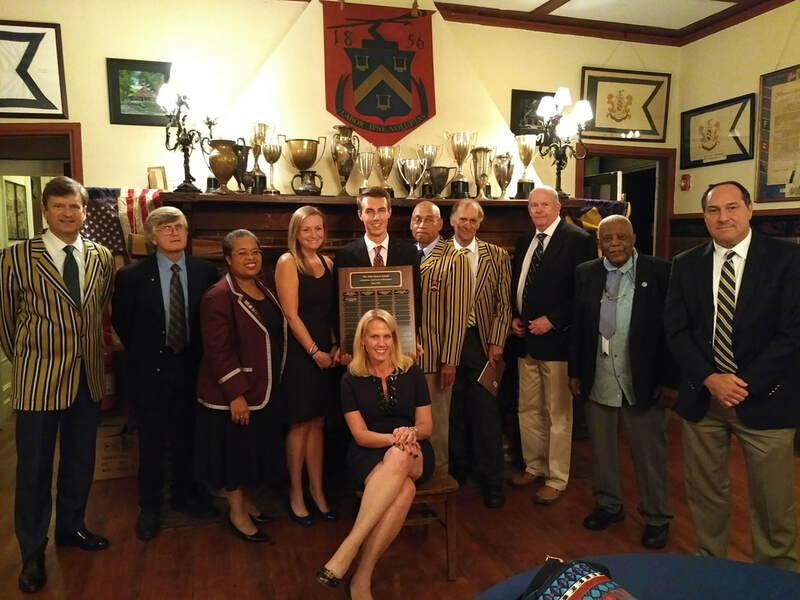 Three Committee Members, Coach Lehane, Recipient Derek Walkush, Award Namesake John Izzard, Jr., Captain George Schaffer, Two Committee Members, Mark Walkush, and Lisa Walkush seated. Mother Lisa Walkush, Coach Lehane, Recipient Derek Walkush, Award Namesake John Izzard, Jr., and father Mark Walkush.